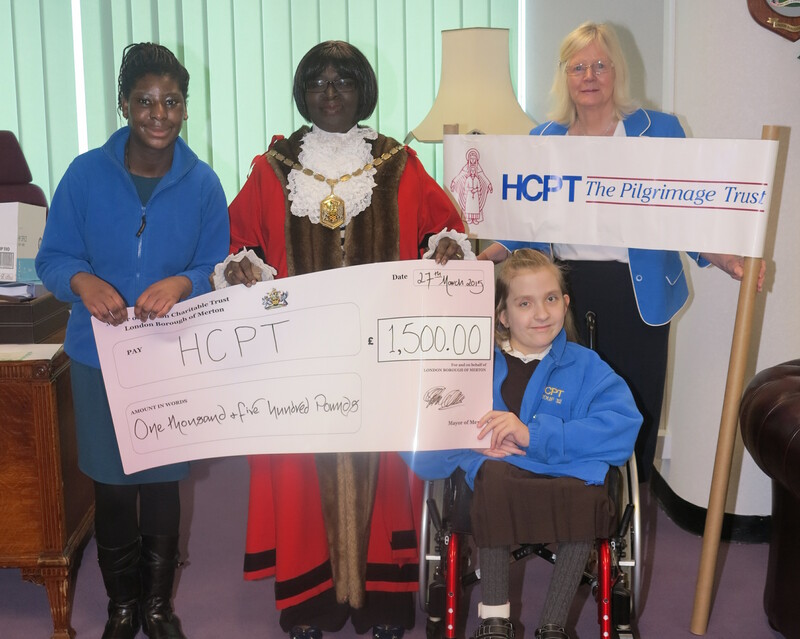 Mayor of Merton Councillor Agatha Akyigyina presented a cheque today to one of her charities, the pilgrimage trust, HPCT. The cheque for £1,500, which the Mayor presented to Mrs Mullens, a Group Leader with the trust, and two of the children who will be attending Lourdes this year, will contribute towards the pilgrimage to Lourdes for a group of Merton children who are suffering from disabilities. 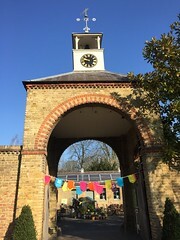 As well as making the pilgrimage, the children will also be able to enjoy a variety of activities with others from different countries for a week from Easter Saturday.